Outside of Lazio, where the country’s Italy’s capital is located, central Italy has plenty to offer. From the famous historical sights of Florence and Pisa to the coastlines of Le Marche, this region boasts the perfect combination of ocean views, countryside hills, and iconic landmarks. One of the best things to do in Florence is climb the 460 steps of the city’s Duomo (cathedral) for unbeatable panoramic views. The Duomo in Florence offers great views over the city. 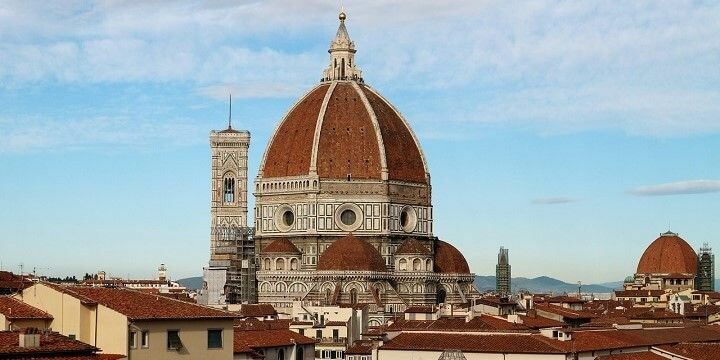 Make sure to also check out some of its popular museums and galleries, like the Uffizi for Renaissance art, or the Galleria dell’Accademia for some of Michelangelo’s work. After visiting Florence’s famous landmarks, explore its quirkier districts, including Oltrarno for cocktail bars and markets, or Santa Croce for great Italian restaurants. Alternatively, take a peaceful stroll along the Arno River and over its famous bridges, such as the Ponte Vecchio. 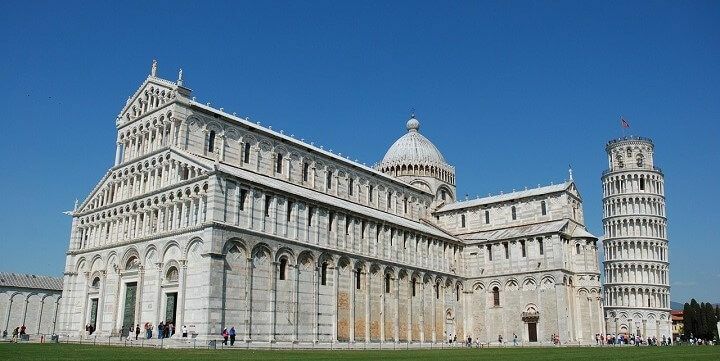 While in Pisa, you’ll undoubtedly want to climb to the top of the famous Leaning Tower of Pisa. After you’ve experienced the bird’s eye view of the city, explore more of the Square of Miracles, where you’ll find the gorgeous 11th-century Cathedral of Santa Maria Assunta and the Monumental Cemetery with its peaceful courtyard. The Leaning Tower of Pisa is the city's most iconic landmark. Pisa is located on the same river as Florence, the River Arno. One of the best things to do in Pisa is take a stroll along the river and over the impressive 89-meter-long Ponte di Mezzo. 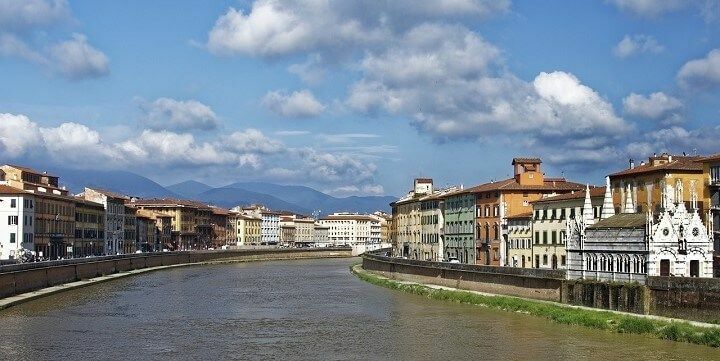 When in Pisa, be sure to take a walk along the River Arno. For more tranquil walks, head to the beautiful Pisa University Botanical Gardens for wonderful flora and fauna. Tuscany is famous for its red wine, which can be found just south of Florence in the Chianti region. Walk around the rolling vineyards, or head to a bar in one of the many small towns, such as Greve, to enjoy a glass of Chiani Classico. 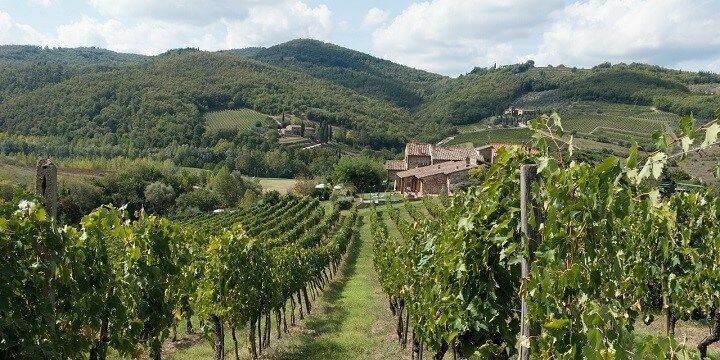 The Chianti region in Tuscany is full of vineyards. After exploring Tuscany’s hill towns, including San Gimignano and Volterra, head to its coastline. Grosseto offers a huge range of coastal villages, such as the untouched Mediterranean beaches in Scarlino, or the incredible natural beauty in Castiglione della Pescaia. 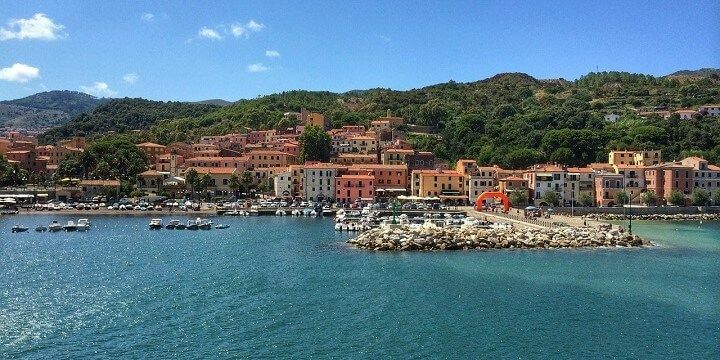 Alternatively, take a boat out to Elba Island to explore old fishing villages and enjoy great views over the mainland. Elba Island is home to picturesque fishing villages. 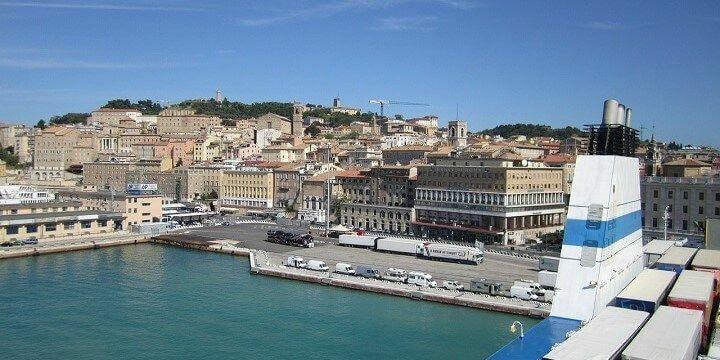 One of the main towns of Le Marche is Ancona. This seaside town is home to the bustling Portonovo Bay, a great place to relax and catch some rays. Ancona is one of the main towns in the Le Marche region. Alternatively, take a day trip to the Frasassi Caves, into which you could fit the entire Milan Cathedral! Change into overalls to avoid getting too muddy before heading inside to spot stalagmites, stalactites, and the cave church, the Temple of Valadier. Elsewhere in Le Marche, you’ll find the lovely Adriatic coastal town of Pesaro, where you can relax on the lido or head to the Monte San Bartolo Natural Park to spot deer, lizards, porcupines, and more. The historic town of Gradara features many ancient sights. For more ancient sights, visit the gorgeous walled city of Urbino or the historic town of Gradara, both of which offer quaint cobblestone streets and intricate architecture. 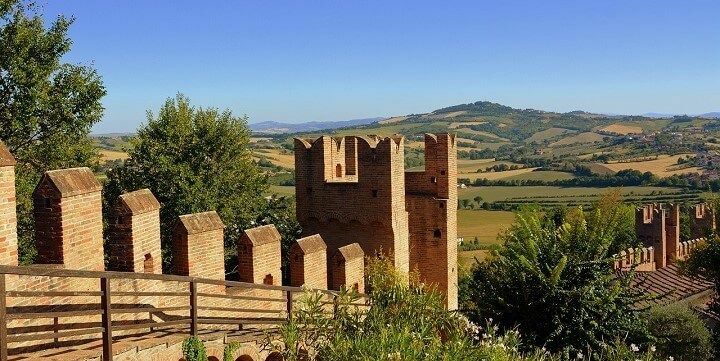 This national park straddles the regions of Le Marche and Umbria. 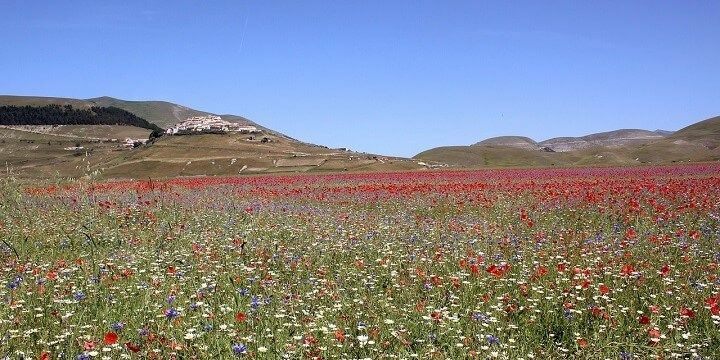 Inside its borders, you’ll find lots of old hamlets, including Castellucio with its colorful flower displays, and Visso, which is apparently even older than Rome. Castellucio is known for its colorful flower displays. There’s plenty of natural beauty to be seen in Monti Sibillini, including the incredible Hell’s Gorge, the bright blue Lake Fiastra, and the huge Nera River valley. 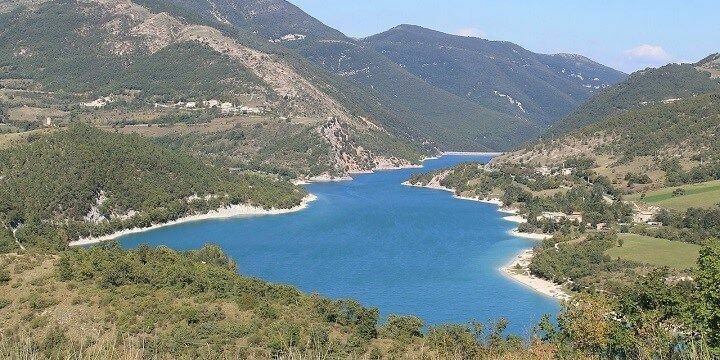 The bright blue Lake Fiastra is located in the Monti Sibillini National Park. Hikers, meanwhile, can enjoy the park’s many peaks, ten of which are over 2,000 meters high! Umbria is great for hiking enthusiasts, as it’s dominated by woodlands and olive groves. The region is also home to one of Italy’s largest lakes, Trasimeno, with beautiful waterlilies and rolling hills. Trek around its banks to spot the lake’s castle, perched on a limestone hill, and the Maggiore Island, which acted as a fishing village in the 15th century. Perugia is the capital city of the Umbria region. 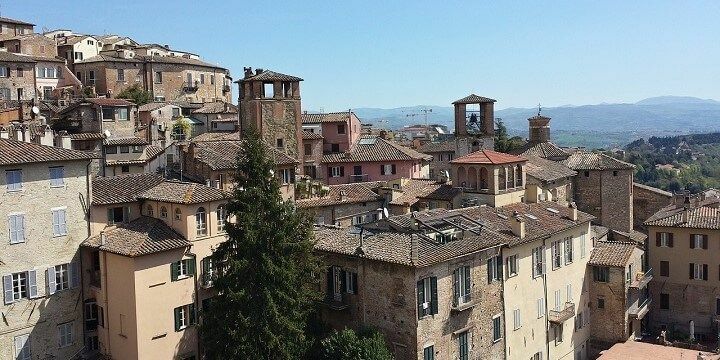 One of the best places to stay in Umbria is its capital, Perugia, where you can enjoy sights like the impressive 16th-century Perugia Cathedral. Try to plan your visit in July so you can attend the Umbria Jazz Festival! Central Italy features the perfect mix of interesting cities, beautiful rural regions, and coastal areas.